If you were injured in a car accident or other serious injury accident due to the fault or negligence of another party, you have a legal right to compensation. There are several types of damages you may be entitled to recover, including amounts for your medical bills, lost wages, and pain and suffering. The reason you are legally entitled to these damages is simple. Our justice system is designed to put you back in the position you were in before the crash. Unfortunately, this is often impossible. In serious accident cases, no amount of money will ever return your life to the way it was before the accident because your health, career, and future are forever changed. Nevertheless, the only mechanism our civil justice system has to right the wrong is compensation. If you look at the list of damages above, the first two types of damages (medical bills and lost wages) are relatively easy to understand. You should be reimbursed for these losses if they are due to another's negligence. It is fairly simple to calculate these damages because they are usually documented with some precision. However, reimbursement of medical bills and lost wages will not fully redress the damage done in a serious injury case. That's why Missouri and Kansas law allow you to recover pain and suffering as well. There is no legal formula for calculating pain and suffering in state law, and as a result, it is subjective, uncertain and varies greatly from case to case. Ultimately, if your case proceeds all the way to a jury trial, your amount of pain and suffering will be decided by a jury (subject only to whatever limitations may apply in state law). You likely just want to know the answer to this question: what's the value of MY pain and suffering in MY case? The answer depends on the jury. Just like every case is different, every juror is different. Juries, by their very nature, are subjective and unpredictable. Their awards vary even in similar cases in the same county or state where your case is filed. An experienced personal injury lawyer can give you a general range of potential pain and suffering awards that you can expect based on your case based on certain factors a jury may consider with a pain and suffering award in your injury case. Let’s assume that you were in a compact car on I-435, traffic slowed due to congestion and were struck in the rear by a pick-up truck at a high rate of speed. Your car was totaled, and you were taken to the ER by ambulance. You were diagnosed immediately with serious injuries, including bone fractures, concussion and a spinal cord injury. Your doctors performed a number of necessary tests, scans and imagings and determined that you required surgery and rehabilitation, and your life would likely never be the same. Your doctors are willing to support your case and provide reports based on future treatment needs, limitations and restrictions. In this instance, your request for compensation for extensive pain and suffering will be clear and obvious. The jury will have no difficulty in understanding why you suffered and will continue to suffer due to injuries from the crash. In a case like this, the valuation of pain and suffering will be greater by a jury, and the insurance company on the other side should recognize this and take that into account. On the other hand, if your car was not very badly damaged, you did not visit a doctor until several weeks after the crash and you were only diagnosed with minor bruising or strains, it will be difficult for a jury to award a significant amount for pain and suffering. Jurors are people just like you and me, and most give more weight to injuries that they can see and understand. What Are Your Medical Bills & Lost Wages? In general, if you have incurred substantial bills for necessary medical treatment, extensive property damage to your car, and/or lost wages, juries are more likely to decide to award a greater amount for pain and suffering. This is based on the rationale that worse injuries, required more expensive medical treatment, which in turn usually warrant greater amounts for pain and suffering. 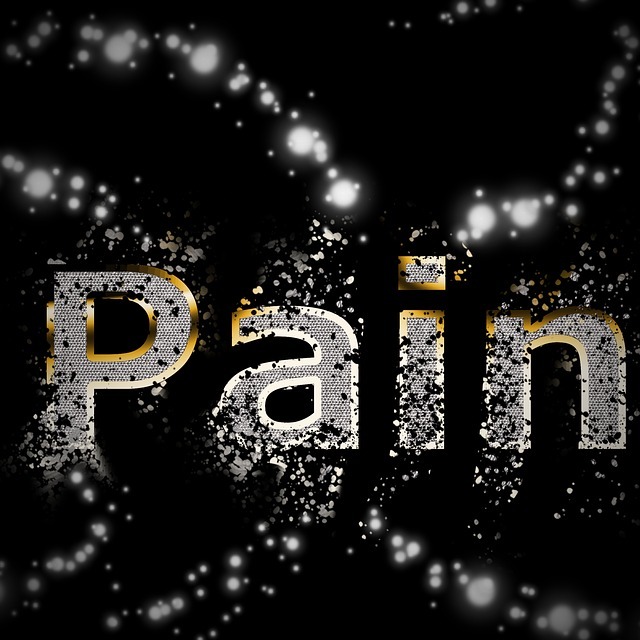 Can You Describe Your Pain & Suffering? If your case goes to trial, you will have a short amount of time to testify under oath and explain your pain and suffering. Jury trials have a lot of moving parts, and your own testimony will be a brief part of the overall case. As a result, you will need to be able to explain to a jury quickly and persuasively how your injuries impacted your life and what pain and suffering you have experienced. Plaintiffs who can do this on the witness stand get better results than those who do not communicate as well to the jury. It may not seem fair that pain and suffering awards be so subjective and unpredictable. However, this is how our legal system works. As a result, we evaluate cases and their potential pain and suffering value based on whether a jury would likely sympathize with a plaintiff and find a plaintiff credible. If we take your case, we will coach you on how to best explain your injuries and pain and suffering to a jury. It is critical for our clients to be able to tell their story persuasively to a jury, so that they can have the best chance at a fair recovery for their pain and suffering. In evaluating a case, we look for unique facts in a client's story that may be persuasive to a jury. For example, if you were a master gardener before the accident and donated time and effort to gardening for local school districts, non-profits and neighborhoods, but after the crash, you sustained nerve damage due to a spinal cord injury that prevented you from ever gardening again. In this example, a jury will hear a compelling story about how this accident has impacted your life in a unique, life-altering way. The jury will understand how your limitations are due to the injuries from the accident and how you have suffered and will continue to suffer due to the same. If you have questions about your Kansas City auto accident case, you can download a FREE copy of Crash Course, 9 Mistakes That Can Wreck Your Accident Claim in Kansas & Missouri. You can also contact our Kansas City law firm at 816-203-0143, or by filling out a contact form below. We would be happy to provide a free, no-obligation consultation about your case, answer any questions you may have this or other issues and offer our thoughts on how to proceed.